My husband (how fun is that to say!) and I have been dating since we were 15 years old. I knew that we were meant to be together, forever. When Rafy proposed to me I knew right away that we were going to have a stunning wedding. After looking around the Redlands and Miami area for the perfect place to make our lifelong commitment, I felt very disappointed because nothing matched our vision that was in our price range. My cousin recommended that we stop in and visit The Cooper Estate. I was hesitant because I saw their ads in all of The Knot magazines that I have picked up at every grocery store in town. I had a feeling it was going to be out of our price range and I would be heart broken. Once she convinced me to “just stop in” I fell in love. My search was over. Taken aback by the breath taking scenery, the cozy cottage and the professional help of Mrs. Regina, I got on the phone with my parents and told them they would love this place! We made an appointment with Regina again and my parents were sold. Planning the wedding was a breeze because Regina and her staff are the best at what they do. I couldn’t have asked for an easier wedding planning process. Our BIG day was a night to remember. 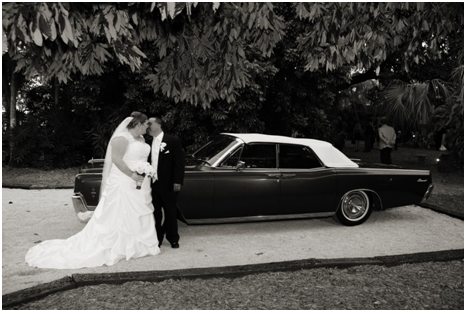 I am not just saying this because it was our wedding day but the entire wedding was absolutely gorgeous. From the chairs lining the grotto to the lights hanging in the trees there is not one thing I could think of to make The Cooper Estate any more pleasant than what it already is. When you walk in to the barn you are hit with a cedar wood fragrance that immediately relaxes you and more importantly makes you feel at home because the whole property is so comfortable and inviting. In the cottage where the bride gets ready there is a closet that is from every girl’s dream. 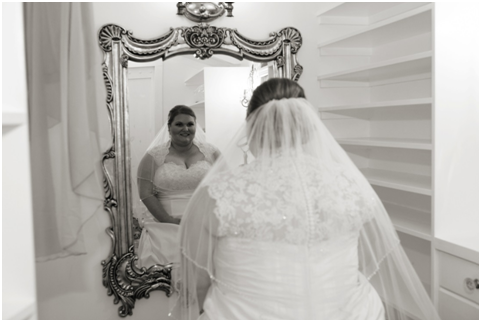 The mirror and fancy vanity chair in the closet contributed to one of my many favorite wedding pictures. The photo opportunities at The Cooper Estate are endless. Our grotto ceremony was simple yet perfect. Pastor Baggett preformed our ceremony. We each had seven members in our wedding party, our dog Bowser as our ring bearer, and my cousin was our flower girl. The waterfall in the background of the ceremony was beautiful and despite the noise of the waterfall, all were able to hear us make our lifelong commitment and the sermon from Pastor Baggett. 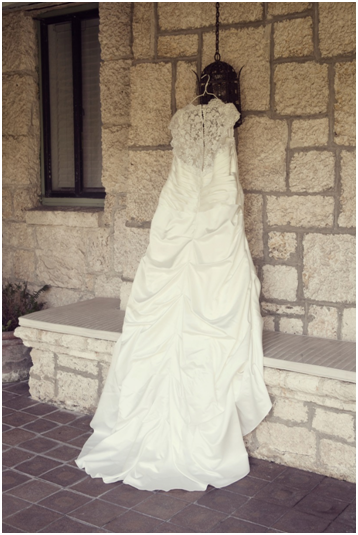 The only concern I had was the challenge of walking down the coral steps that lead to the alter. 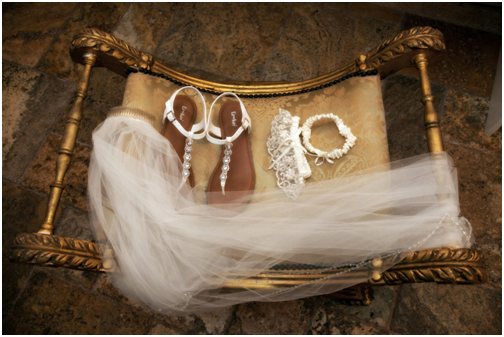 I would highly advise that no member of the wedding party wear heels or wedges if you are planning on getting married in the grotto. My bridesmaids (including myself) wore fancy sandals which made the reception a lot more comfortable. Now let’s talk about what the guest really care about…the food, the booze, and the party. The food was out of this world. We couldn’t have gotten a better churrasco steak at a five star steak house. The garlic mashed potatoes and the broccoli and peppers were a hit as well. One thing that The Cooper Estate does, that not all venues will allow you to do is bring in your own bar, which is what we decided to do. Top shelf liquor and lots of it will make any party a good time. The bartenders were amazing and knew how to make a stiff drink…no complaints there! We hired DJ Hurricane Ray to MC our night. Again, another great addition to our wedding day. He was recommended to use by Mrs. Regina and I trusted her by this point so we didn’t even shop around for another DJ! 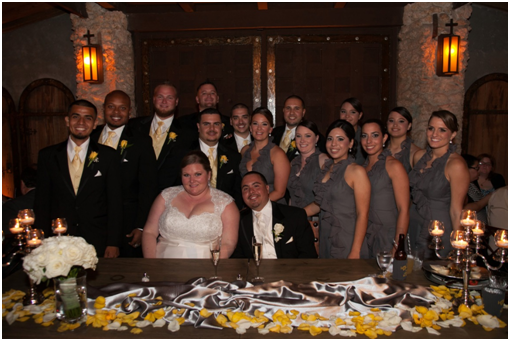 He met with us, we talked about “up lighting” which turned the reception from pretty to stunning. DJ Ray was easy to get in contact with worked well via email. We emailed him our song selections and he went from there. When songs were requested he was quick to spin them in and everyone was happy. Like the ceremony, the reception was a blast. I must have had handfuls of people come up to me throughout the night and tell me how lovely the wedding was. Our DVD and photographs are absolutely breath taking. 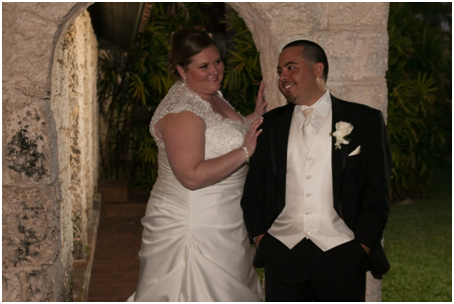 [Below is a link that will take you to a trailer of our wedding video. Copy the link in your browser to watch the short clip.] The trailer shows just how beautiful the Cooper Estate is! Everyone I spoke to while planning the wedding said there is room to cut back; however, do not cut back on the photographers and videographers because at the end of the day the cake is gone, the flowers are gone, the music has stopped, and the party is over. The visual memories you will have forever. Lord willing! You can take it or leave it but I decided to take it. Let me show you why. 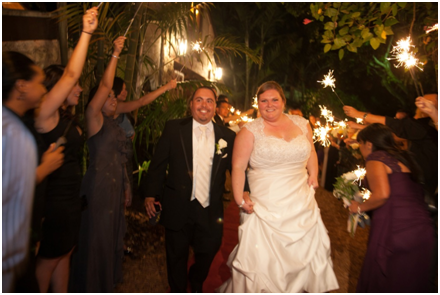 Below are some of our favorite pictures of our wedding day that we will have for the rest of our lives. By far my favorite photos of Rafy and I have been taken right here at The Cooper Estate.